At the beginning of the '80s, Judas Priest was a top concert attraction around the world, in addition to being a best-selling recording artist. Featuring the hit single "You've Got Another Thing Comin'," Screaming for Vengeance (1982) marked the height of their popularity, peaking at number 17 in America and selling over a million copies. Two years later, Defenders of the Faith nearly matched its predecessor's performance, yet metal tastes were beginning to change, as Metallica and other speed/thrash metal groups started to grow in popularity. That shift was evident on 1986's Turbo, where Judas Priest seemed out of touch with current trends; nevertheless, the record sold over a million copies in America on the basis of name recognition alone. However, 1987's Priest...Live! was their first album since Stained Class not to go gold. Ram It Down (1988) was a return to raw metal and returned the group to gold status. Dave Holland left after this record and was replaced by Scott Travis for 1990's Painkiller. Like Ram It Down, Painkiller didn't make an impact outside the band's diehard fans, yet the group was still a popular concert act. In the early '90s, Rob Halford began his own thrash band, Fight, and soon left Judas Priest. In 1996, following a solo album by Glenn Tipton, the band rebounded with a new young singer, Tim "Ripper" Owens, (formerly a member of a Priest tribute band and of Winter's Bane). 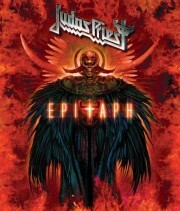 They spent the next year recording Jugulator amongst much self-perpetuated hype concerning Priest's return to their roots. The album debuted at number 82 on the Billboard album charts upon its release in late 1997. Halford had by then disbanded Fight following a decrease in interest and signed with Trent Reznor's Nothing label with a new project, Two. In the meantime, the remaining members of Judas Priest forged on with '98 Live Meltdown, a live set recorded during their inaugural tour with Ripper on the mic. Around the same time, a movie was readying production that was to be based on Ripper's rags-to-riches story of how he got to front his all-time favorite band. Although Priest was originally supposed to be involved with the film, they ultimately pulled out, but production went on anyway without the band's blessing (the movie, Rock Star, was eventually released in the summer of 2001, starring Mark Wahlberg in the lead role). Rob Halford in the meantime disbanded Two after just a single album, 1997's Voyeurs, and returned back to his metal roots with a quintet titled simply...Halford. The group issued their debut in 2000, Resurrection, following it with a worldwide tour that saw the new group open up Iron Maiden's Brave New World U.S. tour, and issuing a live set one year later (which included a healthy helping of Priest classics) -- Live Insurrection. In 2001 the Ripper-led Priest issued a new album, Demolition, and Priest's entire back catalog for Columbia was reissued with remastered sound and bonus tracks. In 2003 the band--including Halford--collaborated on the liner notes and song selections for their mammoth career-encompassing box Metalogy, a collaboration that brought Halford back into the fold. Owens split from the group amicably in 2003, allowing the newly reunited heavy metal legends to plan their global live concert tour in 2004, with their sixteenth studio album, Angel of Retribution, to be released the following year. In 2008 the band released Nostradamus, a sprawling, two disc conceptual piece that charted the life and times of the famous French seer.